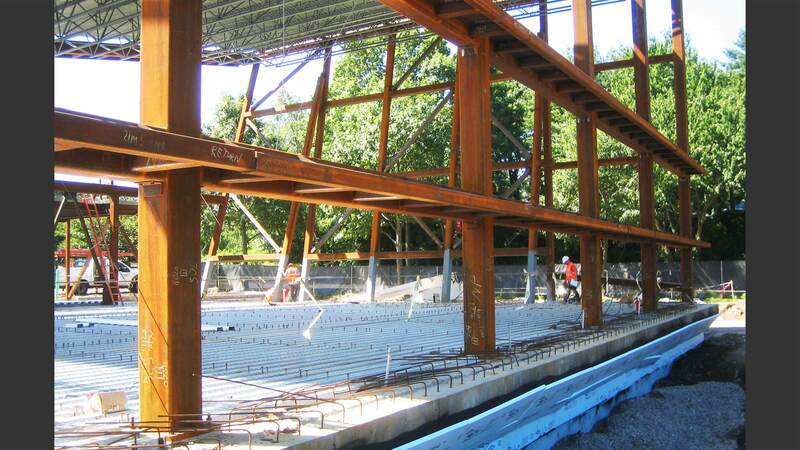 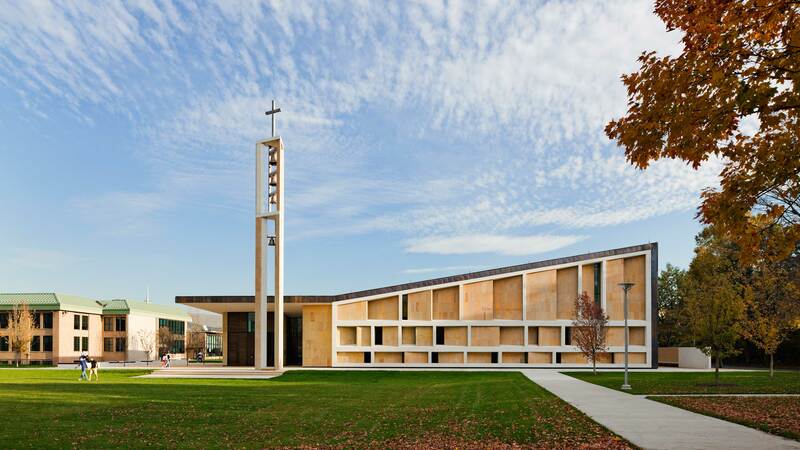 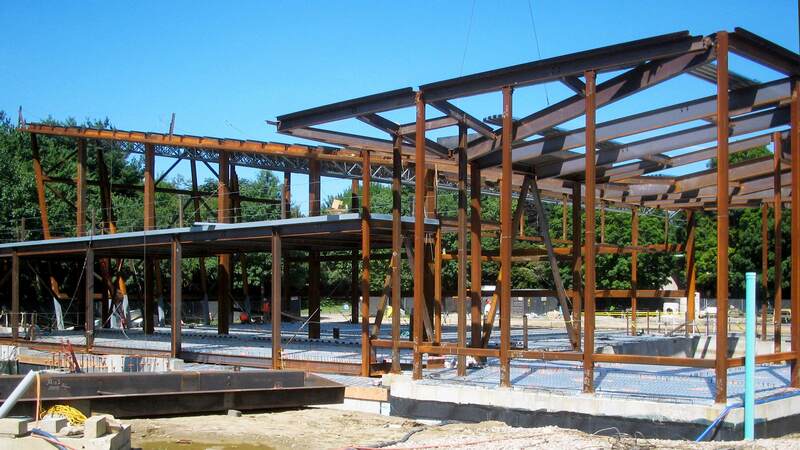 From the copper creases of the roofline spilling onto the sloping walls to the transparent glass entryway, the chapel highlights integration and diversity uniting the Sacred Heart campus. 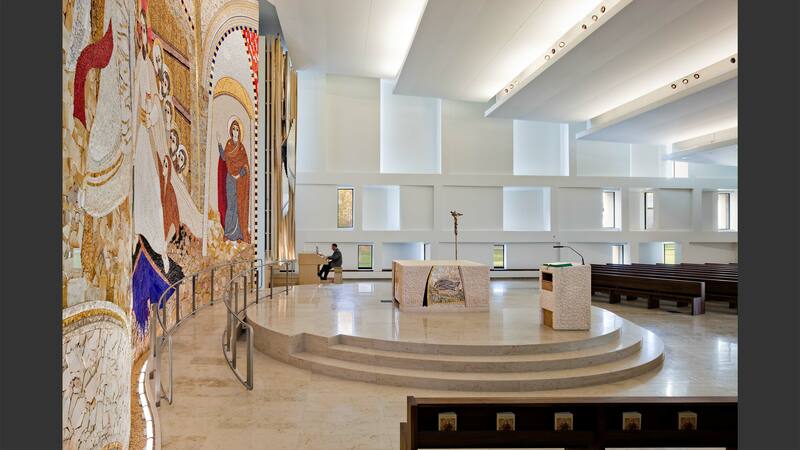 Inside, wood tones and indirect natural light bring a warmth and intimacy to this place of prayer and contemplation. 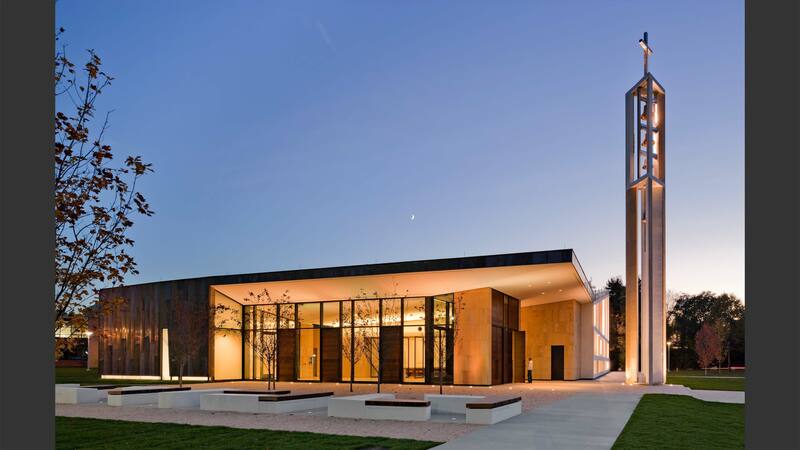 An 80 foot tall bell tower stands as a guiding light at the chapel entrance, calling congregants to join as a community in prayer.